read. watch. listen. : Unleash Your Story! 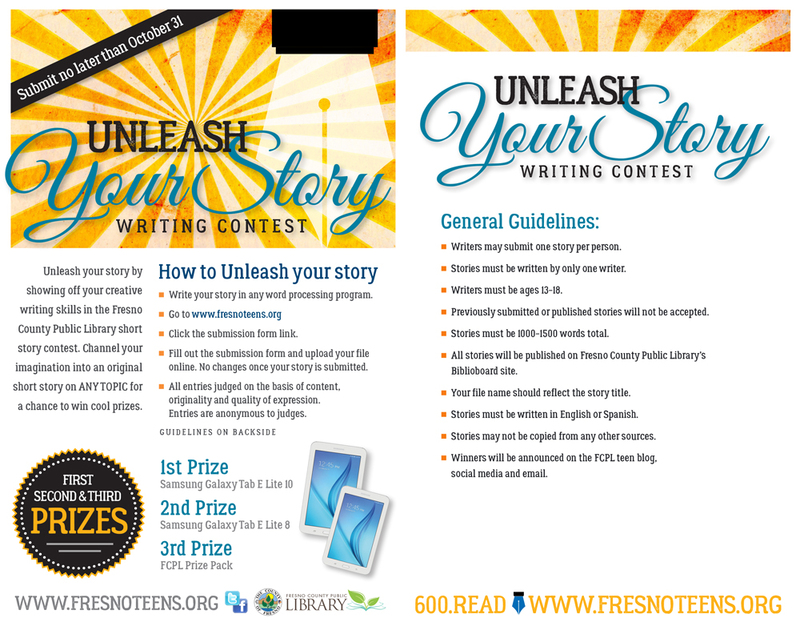 We're holding a short story contest just for you! Between now and October 31st, you can "unleash" your most creative, imaginative stories on our judges, for a chance to win some pretty great stuff. This contest is only open to teens.